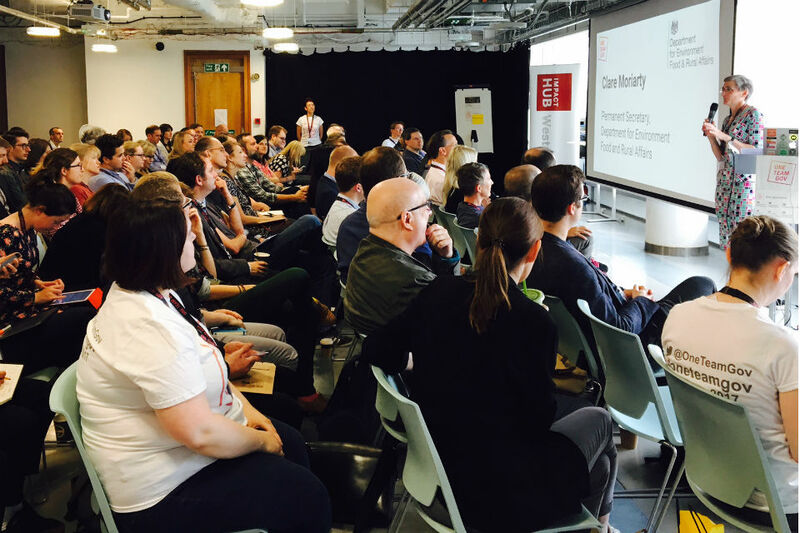 The event brought together policy-makers, digital and other government professionals, and non-public sector experts to discuss how to make government more effective. Clare Moriarty, Permanent Secretary at the Department for Environment, Food and Rural Affairs, gave a keynote speech and the event was attended by almost all central government departments, as well as representatives from local government, the third sector and other interest groups. How do we create service-orientated professional networks that cross departmental boundaries? 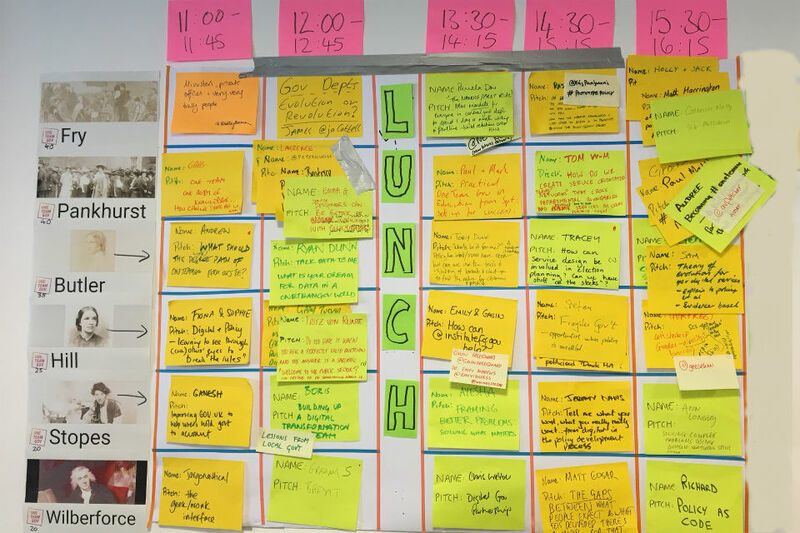 The sessions tackled these ideas in a variety of formats – workshops, panels and open discussions – with the emphasis on positive thinking, each individual’s input being valued and generating real ideas for change. 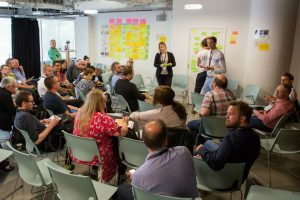 The wide range of voices in the room made for robust discussion, with real ideas and actions to take back to departments emerging from people who would not previously have had the chance to contribute. Feedback has been overwhelmingly positive, with attendees saying they really valued a shared space to generate ideas and problem solve with people whose perspectives and experience differs from their own. As I’ve said before, working across boundaries is vital in order to deliver the highest quality public services and the best advice to ministers, and these kinds of events help to bring together professions and groups that don’t always find it easy to collaborate. Work in the open – documenting our findings and lessons learned so that good practice can be shared across disciplines and departments. Take practical action – focus on small actions we can take in our own workplace to allow different communities to work together better. Experiment and iterate – use design thinking to test new ideas early, and be prepared to change. Be diverse and inclusive – make sure our teams and the stakeholders and users we engage are representative of wider society. Care deeply about citizens – focus on citizen end users right from the beginning of policy making in order to improve advice and services. Work across borders – build relationships across government and outside the public sector to get the greatest range of ideas and inputs possible. Embrace technology – work in a digital-first way, using the best of modern technology to improve how we work and the services we offer. 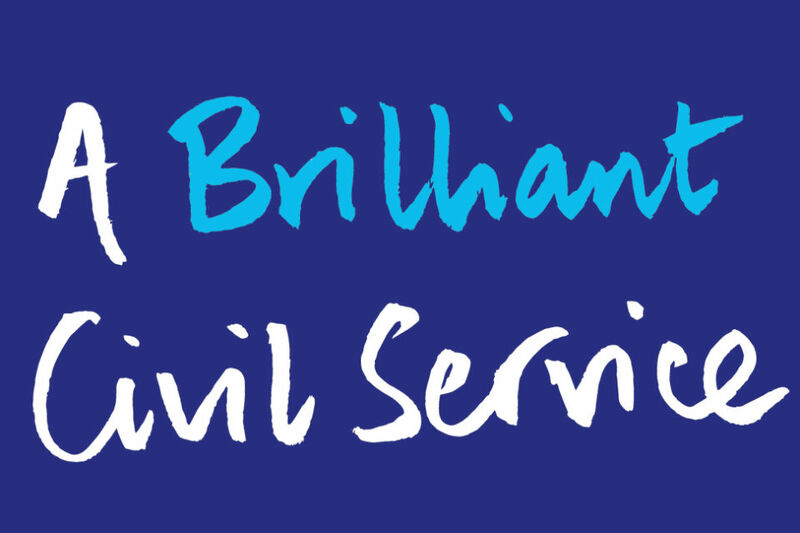 These principles are exactly the ways of working that are needed if we want to achieve our vision of A Brilliant Civil Service, and the ambition of being the UK’s most inclusive employer by 2020. 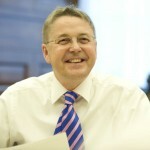 They have already gained traction in departments: the Department for Education and DWP are already adopting principles into their work; the Government Digital Service and the Home Office have referred to them in current recruitment campaigns; and further One Team Government events are already being planned in the Department for Education, in Scotland and around the theme of inclusion. I hope these principles will galvanise collaboration between civil servants across professions and departments. If you want to find out more, you can read about One Team Government here and see some feedback from the day and what has happened since here. One problem I see with creating cross department networks or teams is the salary differences across departments. If I was asked to work alongside colleagues from another department in the same grade doing the same work as them but was paid up to £13,000 a year less than them I would find it hard to sign up. For example: Starting SEO salary in HM Treasury - £28k. Starting SEO salary in Department for Transport - £41k. I have recently been involved in a cross-department workshop connected to Counter Fraud facilitated by the Cabinet Office and it was really useful. Discussing different approaches, problems faced, mistakes made, solutions discovered openly gave me confidence in the proposals I was preparing to make in my department. I felt there was a lot of support in the group (which contained a lot of experience) and I learnt a lot - it was interesting to hear the journeys made in OGDs [other government departments] to arrive at where they are today. I was a comparative junior grade from a department that pays less - that would still be the case if I hadn't attended but I would have missed out. Not so long ago the representatives wouldn't have felt as comfortable discussing their department's strengths/weaknesses, success/failures - it wouldn't have been as worthwhile. - I would recommend taking part if the opportunity arises.